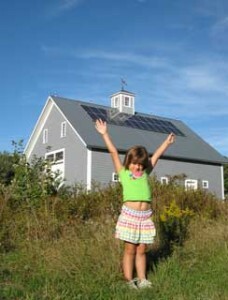 Maine has an abundance of solar energy available, about 30% more than Germany, the world leader in solar energy installations. How can you capture this abundant resource, benefit financially, and impact climate? Join us at the College of the Atlantic’s Earth Day Celebrations on April 26th to learn about solar hot water systems, solar space heating, solar electricity, efficient electric heating systems, electric vehicle charging stations, and more. Find out what makes your home a good site for solar collectors, how much these systems cost, what available incentives there are, what loan programs are available, and what you can expect for a return on investment.